I didn’t know any Orthodox Jews personally, so my perception of all Orthodox Jews was based on the interactions my father had with this handful of people. But as I was silently hating and judging Orthodox Jews from afar, a problem close to home was brewing: I had no idea why I was alive. It was the most basic question of existence, yet no one in my world had any valuable answers to offer me. I was only eight years old and was surrounded by successful, intelligent, happy adults, but none of them seemed to be bothered to search for a purpose in life. 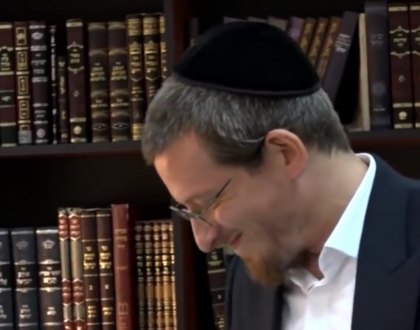 To make a long story short, at sixteen years old, I accidentally got connected to some Orthodox Jews, and quite surprisingly, I discovered that these people were not only asking the questions that plagued me, they had profound answers to them. And so little by little, in my late teens, I too became Orthodox. But I didn’t stop there. What I discovered in a religious Jewish life was so meaningful that I wanted to share it with the people that I loved most. So after much nudging and nagging, I got my parents and both sisters to start learning Torah, meet other Orthodox Jews, and experience Shabbos. Then one by one, each of them also became Orthodox – even my father. You might think the story ends here, but the circle is not yet fully complete. The next part of the story is that in the midst of my father’s happy life – the successful career, the fancy house and luxury car, the beautiful, loving wife and kids – my mother, at only fifty-three years, old was diagnosed with an incurable cancer. My parents were high school sweethearts and had been together since their teens. My father was devastated. All of us were. Fifty-three was the same age my father’s mother was diagnosed with a disease, which was not only detected exactly like my mother’s cancer, but also killed my grandmother within two years. My father immediately considered the worst. This was a cancer, which if it progressed would be deadly. But then he turned to his faith, and it strengthened him. My parents received blessings from great rabbis, we asked many people to start observing mitzvos in the merit of my mother’s recovery, and my father got tremendous solace from praying and trusting in God. Thankfully, my mother’s cancer stayed inactive for eight long years. But then, unfortunately, a few weeks ago, my mother started getting aches and pains that were not going away, and when the doctor checked her blood work, they discovered that her cancer had progressed. My parents began medical treatment in Israel (where they live), but the language barrier was a problem, so they flew back to the states and headed straight for Mt. Sinai. My father had not slept or eaten well in the days since my mother took ill, and I was trying to find ways to make their time in the hospital more manageable. Then a friend suggested that we call Satmar Bikur Cholim – an organization run by Satmar Hasidim that supplies hospitals all over the world with homemade kosher food and a room for family members of the ill to rest in. Part of my mother’s recovery meant my father staying strong to help advise her doctors and care for her. I called Satmar Bikur Cholim and left a message that my parents were at the hospital and needed food. A friendly woman with a Yiddish accent called back a few hours later and had one question for me before we could proceed: Were there were any dietary restrictions for either of my parents? I told her “no.” Then she told me “refiah sh’ly-mah” (that’s how you say “get well soon” in Hebrew with a Satmar accent) and that the food would keep coming until we canceled it. Then, just as promised, a pleasant Satmar Hasidic woman showed up the next day with lunch. My mother wasn’t up to much eating yet, but my father was running on empty with all the worrying and running around he was doing, and he told me that the tuna fish sandwich “saved” him. Thirty years earlier, my father – the “open-minded” secular Jew – had made many judgments and generalizations about a group of people at Mt. Sinai hospital. Then, three decades later, at that very same hospital, all these people wanted to know was how they could accommodate him and his wife in their time of need. No one asked if my father was Jewish or how religious he was. None of that mattered. These Satmar Hasidim simply gave with open arms and open hearts. And that is how life came full circle in a rather unexpected way and a double board-certified former Chief of Neurology learned an important lesson from some “ignorant” Hasidim. May your mother have a refuah shelemah and your family a lot of strenghth and courage! wow, what a touching story! best wishes for a speedy refu’a sheleimah!! Hope your mom has a refuah shleimah mahair. 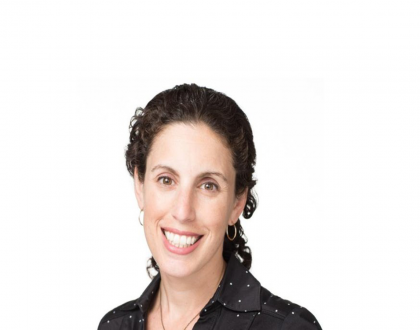 Allison, this article is so inspiring and has exposed the real value of chesed to me even more. I wish your mother a speedy recovery (or refua sheleima—whatever people say). This is an inspiring and sensitive story, Allison, and I received shock when I realised where it was going. I sincerely wish your mother a ‘refua sheleima’ and think my mitzvah in your mum’s merit will be to light my Shabbat candles EVERY week instead of missing out the joy sometimes. Best wishes to you all from Bessie in Scotland. How is your mom I still think about her all the time? BH her disease went from incurable to chronic in the time since she got sick as the drugs have made major progress. Thanks for asking!! Great suggestions. I will make my mitzvot of refraining from gossip in honor of your mother – with prayers for her full and complete recovery. Thank you for sharing such a beautiful and personal story. You are a very strong person and that must’ve come from your parents. What you’ve given of yourself here only makes our lives more complete to learn from this example. May all of the work your parents have done to embrace Hashem and His commandments merit for a full and speedy recovery for your mother! right, except when it comes to their own children. you know, the ones that decide to go off the derech. then all the so called “satmar chesed” goes out the window and the child becomes ridiculed and ostracized from the community. some even lose their children if they had any. so do me a favor jitc, go find other communities to write about because you dont know anything about the real satmar community so I wonder if its even ethical of you to write about them in the first place. thanks for your comment, ana. what you write of is a serious problem. 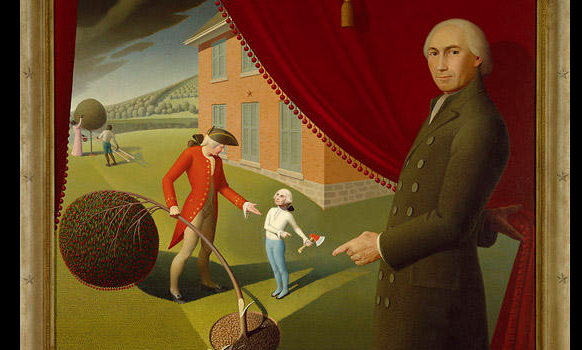 i recently met a couple in this exact situation who were ostracized for becoming more modern. it was heartbreaking to hear about. there are other problems in the satmar community as well. and we read about these all the time. i would never claim that the satmars (or frankly any jewish community) is free from problems, but the purpose of this piece was to show that despite the problems, there are some beautiful things happening as well. JITC, my friend grew up satmar and left the community. she was very much mistreated by these wonderful satmar people that you speak of. she also had a really hard time coping outside of the insular satmar community since the satmar people dont believe in high education so my friend was not educated enough to survive in the outside world. needless to say, she killed herself. satmar turned her back on her and did not care if she lived or died. so if thats the nice satmar community you speak of then perhaps you should do a little more research about them and their shenanigans before you write about how wonderful they are. thank you. while this episode is an incredible tragedy, i don’t think it speaks to the ENTIRE satmar community. it is a reflection on the people who ostracized your friend. as i said, every community has its strengths and every community has its shortcomings. 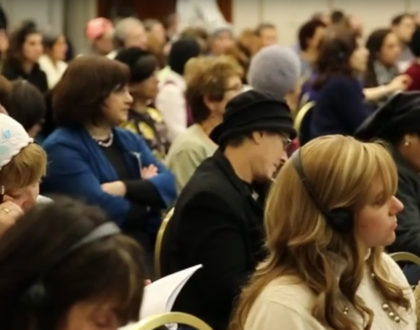 ALL we ever hear about in the mainstream media are the shortcomings of the satmar community. and i’m not trying to minimize them – there are some serious shortcomings. but there are also some seriously amazing things happening as well. and those stories also need to be told. While what happened to your friend, Ana, is an incredible tragedy, it is hardly a reflection of a whole community. On the other hand, I think it worth reflecting on what it says about the world you inhabit that to you it’s “needless to say” that she committed suicide, or the she “obviously” could not survive in outside society. Beautiful beautiful post. Refuah shleimah. May she have as easy and complete a recovery as possible. WOW what a beautiful article!! thanks for your comment, esty. glad you liked the article. in terms of my response to ana – there is real pain out there. there are some serious problems that need to be addressed. i don’t have very much personal knowledge of the satmar community, but the few things i have personally experienced have been very remarkable and so i’m trying to tell that side of the story since it’s never told. but i have had many people who had very negative experiences contact me and these people endured some horrible things and i want them to understand that i sympathize with their pain. i don’t know percentage-wise how much good or how much bad is out there. that’s the simple truth. i try to look for the good and publicize it, but i also can’t ignore the bad. I wish your mother a speedy and complete recovery. I will take on saying the Shema at bed time, as sometimes I’m so exhausted, I simply don’t. I will be praying for all your family. Best wishes, Chava. JITC, your mother and your entire family will be in my family’s prayers. as a former satmar myself (i have left judaism since) I am deplored by so called enlightned people trolling the interwebs making sure to silence any voice that would suggest that the satmars are even remotely human. isnt this the lesson alison wanted to share? Thanks for your comment, joel. In terms of the satmar folks from 30 years ago being smelly and dirty, my father came across a handful of them who he found to be smelly and dirty. This certainly does not speak to the entire community and my father was certainly closed off to seeing positivity from Satmar at that point in his life. Hi Allison, Loved your article, except your father’s original impressions of Satmar. However, I think you totally misunderstood Joel’s comments. He was saying exactly the opposite of what you understood, and didn’t mention anything about being mistreated. As I understand it what he stated was that he hates how people troll the internet for positive mentions about Satmar and then tear them down — as if all Satmar chasidim are evil without a shred of redeeming qualities. Please reread his comment and tell me if I’m right. Also, you need to “get out there” and discover Satmar (if you’re in Manhattan, just a short bridge over). You can crash a wedding (chuppas especially are really open, but nobody will boot you in any case) go shopping, ride the Bikkur cholim bus etc. Your assertion about not knowing percentages of good vs. evil is really disheartening and illogical. To negate Satmar because the people coming to you are frustrated when there are tens of thousands of others you never met, do lots of good, and are happy where they are is quite frankly inexcusable. Education works both ways. Thanks for your comment, Rose. I think the message in the article is as strong as it is specifically because my father used to feel so negatively about Satmar. His changed perspective is that much more significant because of where he started. I DID completely misunderstand Joel’s comment. Thank you for pointing that out – I edited my response. I am not negating Satmar with my statement – I wrote this article to spread positivity about Satmar because the media only seems to be interested in spreading the negativity. At the same time – there’s real pain out there and I can’t just pretend that it doesn’t exist. That’s a great idea about trying to spend more time in the Satmar community. There is one family that we are close with who are incredible and we’ve spent many Shabboses with, but I think it would be helpful for me to meet more Satmars up close so I can base my understanding of the community with more firsthand experience. Thanks, I really appreciate your openness and honesty. And I didn’t mean for you to whitewash your father’s impressions, it just made me cringe regardless.. I left out the most important part. “Refuah Sh’lemia” to your mom, and may G-d give your family the strength to persevere in these trying circumstances. imho, judaism is as true as any other man made religion, but kudos to the satmars for being brave enough to follow authentic judaism. the shulchan aruch states that one that left the ways of God is a traitor and should be treated as such. so please don’t blame them on the shortcoming of your own religion! Thanks for your comment, joel, but it appears that there must be more to the shulchan aruch you’re quoting because in the Gemara, Elisha Ben Avuya – the most famous apostate out there – not only is not “treated as a traitor,” Rebbe Meir continues to learn from him!! The ben sorer u’moreh is also “supposed to be killed” but on a practical level we don’t see that happening. So I think this S”A needs to be understood on a deeper level. As a former patient at Mt. Sinai for a few weeks following a transplant, I can attest to the woderful people of the Satmar Bikur Cholim who kept my wife well fed during my stay. They were kind, friendly and respectful. It was a great lesson in Ahvas Yisroel, that everyone should follow. The answer to everyone about this article is very simple. Some of you got very close. The answer is that all Jews do what they consider right and the best for all other Jews. This includes following the giver’s own Jewish religious philosophy. All Jewish groupings might have internal disputes with other groups, and even sometimes make it obvious, but nobody ever gets physically violent with anyone else. So you know someone who does? Congratulations. So you know 1. Maybe even 2 or 3. This applies if you are in New York, California, Venezuela, France, Scotland, or anywhere else. It applies to Lubavitch, Satmar, any other Chassidic group, Yeshivish, modern-orthodox (I am not sure who is included in that, but it is a commonly used expression), Baal Teshuva, went “off the Derech”, or anyone else. If you need any assistance, just ask anyone for some. If you think that this analysis is wrong, do not be afraid to ask me about it. I will be happy to help you out. All the best to absolutely everyone. You can get a billion good stories of “Satmar Bikur Choilim” just by walking into any NY hospital and trolling patients. As a former patient, been there, done that) My sister, who is far from Satmar, says that when she wins the lottery Satmar Bikur Choilim will be the first place she donates to. Because of how they helped her when she was in the hospital having a kid. I see that this post was written in 2013. May I ask how your mother is doing now? I hope she recovered. 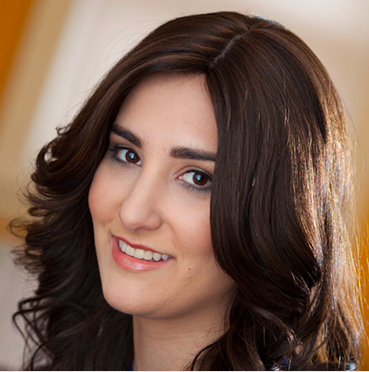 I have been following Jew In The City for years now, since I was a young girl in middle school and high school trying to find meaning in my life and becoming religious, until today when I am a married religious woman with a sheitel. Throughout my life journey, Jew In The City was a big inspiration to me and I thank you for that. I hope your mother is doing well. Thanks for asking, Nicole. The disease is incurable still but she is hanging in there, going from treatment to treatment. 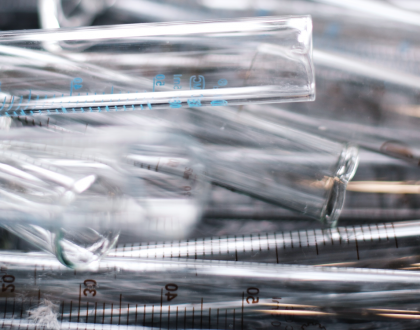 We believe the cure is not far away. If you could have her in mind until then, we’d be so appreciative. And wow – that’s so amazing to hear how JITC impacted you. We never know who’s out there until you write in! Does the Torah Say Its Ever Okay to Lie? 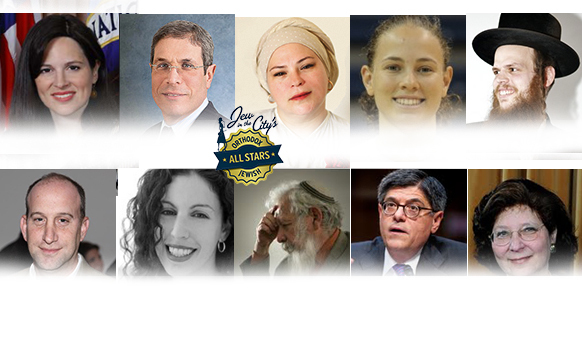 Announcing Jew in the City’s 2013 Orthodox Jewish All Stars! !